There’s still a few weeks left to wring out some amazing writing from your budding authors, but how can you ensure that children take more than a cursory glance at their masterpieces before declaring them finished? Editing stations may be the answer. Find out how to use them in this issue. 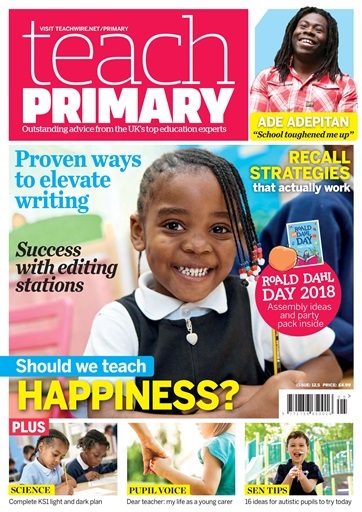 We’ve also got plenty of practical advice to set you up for September: John Coxhead explains how to manage difficult behaviour by imagining yourself ‘in character’; headteacher Sally Pearce tells us how one city is dealing with the problem of excessive teacher workloads; and Sway Grantham highlights a free app that can make assessment less of a time commitment.